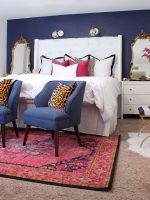 I am beyond obsessed with every single one of these Bathroom Makeovers, they are just gorgeous! I love a clean bathroom it makes me so happy and makes a difference in my home. 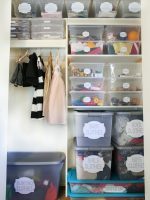 These Bathroom Makeovers inspire me for my Bathroom Makeover that will be happening very very soon. Which Bathroom is your favorite and which one inspires you? 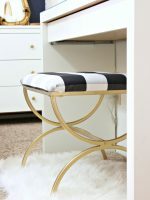 Love love love the gold decals they are always my favorite! I love the fun tile used in this classy bathroom! The flooring is to die for…. don’t you agree? I love how clean and modern this looks. This tile was one my bathroom inspiration board. It is so pretty. I am in love with it! 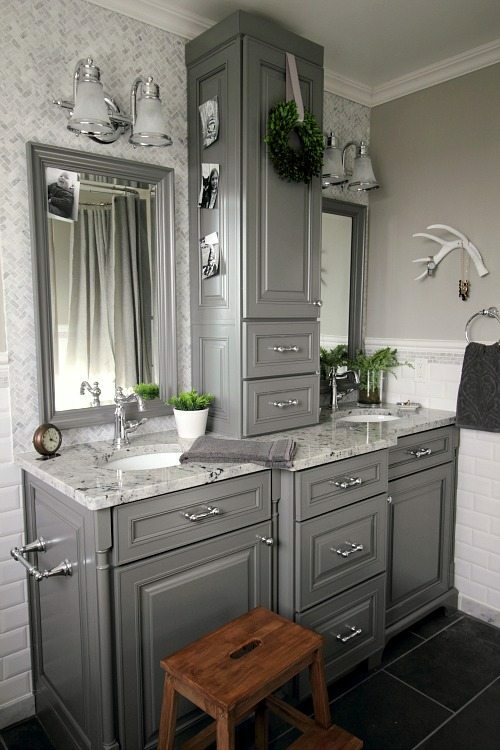 This is a gorgeous bathroom.. wouldn’t you agree? 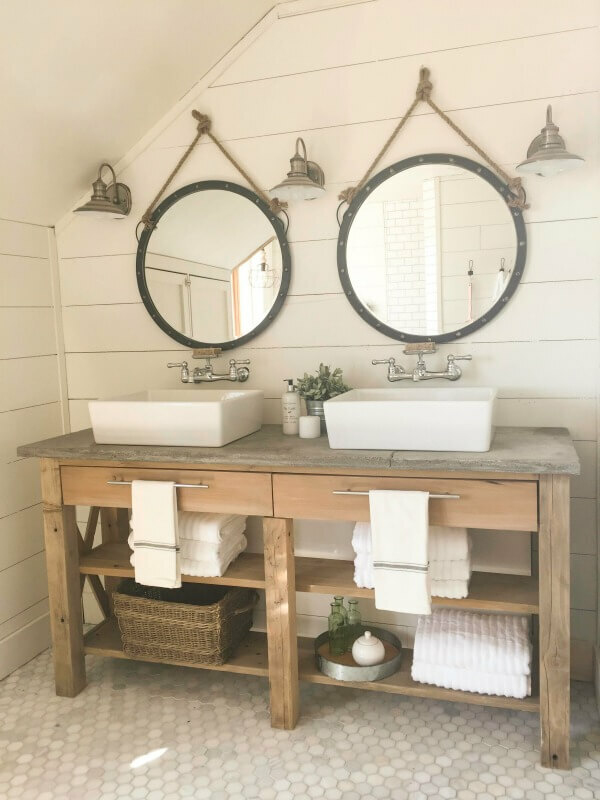 A cute farmhouse bathroom that is simply elegant. I love this modern bohemian styled bathroom and the free standing tub.. LOVE! The clean white and black makes me so happy. The gold accents they used are just amazing! Okay guys really this tile is it for real, so pretty! 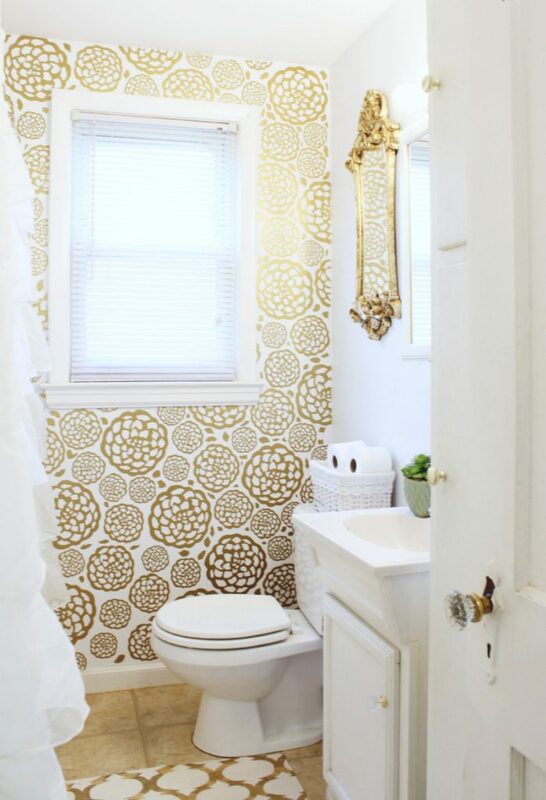 hi I really need this stunning gold paper or decals in the bathroom. Can you tell me wehre you found them? Hi! I turned over my vinyl shop to my mother in law. You can get the decals from her shop!